Will Page and Jones tour as 'Led Zeppelin'? 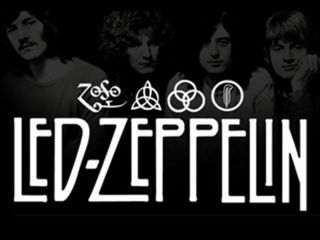 Led Zeppelin bassist John Paul Jones has confirmed that that he, guitarist Jimmy Page and drummer Jason Bonham are looking for a new singer. Led Zeppelin - with John Bonham's son Jason on drums - reunited in December 2007 for an appearance at London's O2 Arena. Recent reports suggested that Page and Jones in particular were keen to play live once again, with a full tour, but singer Robert Plant made it clear he would not consider touring again with Page and Jones for the next two years. However, John Paul Jones has now confirmed that an active search for a new frontman is continuing. "As you probably know, Jimmy, Jason and I are actually rehearsing and we've had the odd singer come in and have a bash. As soon as we know - which we don't - we will let you know. But we really hope that something is going to happen soon because we really want to do it and we're having a lot of fun, actually, just rehearsing. "Jason is actually tremendous... We really wanna do something and Robert doesn't want to do this, at least for the moment. I don't really know what his plans are. He really doesn't want to make loud music anymore. We do. I mean, I love acoustic music, but it doesn't stop me from turning something up. And what we've done so far sounds absolutely fantastic. When it does come, it will come, and you'll know about it," said Jones. Jones added that once a singer was confirmed, a tour would then be planned. Jones also indicated during the interview that there could well be a DVD of Led Zeppelin's O2 show released. While that does not reveal much, it does confirm the search is continuing despite Robert Plant's refusal to take part. Twisted Sister's Dee Snider recently claimed Alter Bridge's Myles Kennedy would be the new singer. More ludicrously, the UK's Daily Mail newspaper claim Aerosmith's Steven Tyler has been rehearsing with Page, Jones and Bonham. Could Page and Jones really go out as Led Zeppelin with a different singer? Or would they need to use a new name? Jimmy Page turns 65 in January 2009, Jones will be 63.